The entire 6-episode series is now available to stream for DPTV Passport members. 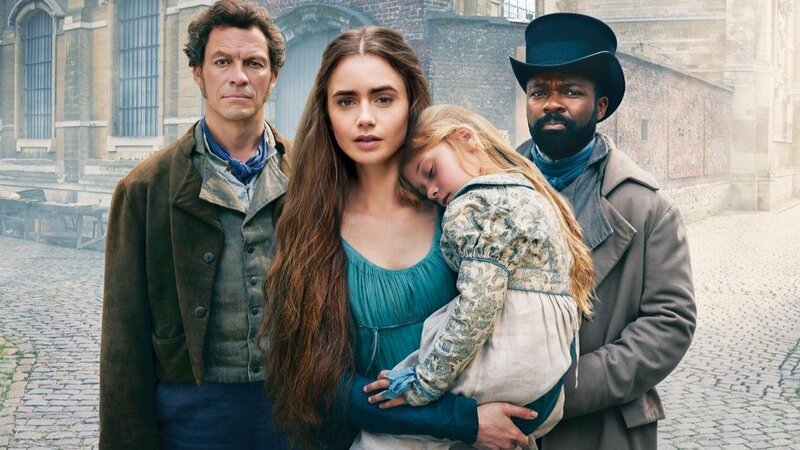 New drama from the producers who brought you Downton Abbey, JAMESTOWN will ONLY be available to watch on DPTV Passport. As a member of Passport, you can watch all of Victoria from the beginning. DPTV Passport members can binge every episode of Poldark Season 3. Watch every episode of Season 4 of the Great British Baking show now! A quick tutorial to help you get started with DPTV Passport. Watch all six seasons of "Downton Abbey" now on DPTV Passport. DPTV Passport is a benefit for U.S. members that provides you with extended access to an on-demand library of quality public television programming. Featuring both PBS and select local programming, DPTV Passport allows you to watch even more episodes of your favorite shows, including full seasons of many current and past series. DPTV Passport is available for an annual membership of at least $60 or $5 a month Sustainer donation. Already a member and activated? Already a member and have not activated your account? If you have not shared an email with us at Detroit Public TV, email our Member Services team to add your email to your account. This member benefit is currently only available for U.S. members. Need help getting started with DPTV Passport? DPTV Passport is a new member benefit which provides DPTV donors extended on-demand access to a rich library of quality public television programming online and via your mobile device. This is one of the many benefits that DPTV provides its donors along with the program guide, discounts with our partners and items like tickets, umbrellas or tote bags, based on the level of your gift. Why is DPTV making this service available? As more and more people are watching television content on demand on computers and digital devices, DPTV Passport gives DPTV donors a way to enjoy extended access to PBS and DPTV content on platforms including computers, smartphones and tablets. What kind of content can people find on DPTV Passport? How can viewers find content that’s available on DPTV Passport? Members who wish to take advantage of DPTV Passport, must activate their account for access. They will be asked to register to confirm their identity and membership status in order to start enjoying DPTV Passport. DPTV Passport can be accessed on DPTV.org, the DPTV App for iPhone and iPad, as well as on the PBS channel on Apple TV. To get started, look for videos with this image. Those videos are only available to users who are registered for DPTV Passport. For more help getting started with DPTV Passport, watch the video above. Who is eligible for DPTV Passport? DPTV Passport is the newest member benefit available from DPTV for donors with a yearly contribution of at least $60 or an ongoing monthly contribution of $5 or more. It cannot be purchased separately. Streaming video from DPTV – including video that is available to DPTV donors – is only available within the United States. Will there still be free streaming on DPTV.org and PBS.org? PBS and DPTV content will continue to be available for free on the DPTV.org website, and other digital platforms. DPTV Passport provides extended access to a rich library of content for DPTV members to enjoy. Certain content, including kids, news and public affairs programs such as THOMAS & FRIENDS as well as FRONTLINE, PBS NEWSHOUR, INDEPENDENT LENS and POV, will be accessible to everyone. DPTV Passport supports the latest versions of Chrome, Firefox, Internet Explorer, and Safari. How does DPTV Passport align with the mission of public television? DPTV content is shared widely with the public on-air, online and on mobile devices after a program airs – that has not changed. DPTV Passport goes one step further by offering extended access to additional content for station donors. Certain content, including kids, news and public affairs programs such as THOMAS & FRIENDS as well as FRONTLINE, MIWEEK, PBS NEWSHOUR, INDEPENDENT LENS and POV, will be accessible to everyone. I’m not seeing my favorite PBS show in DPTV Passport. Why not? Initially, several hundred hours of content will be available via DPTV Passport. This library of content will continue to grow over time as more titles are added. Is DPTV Passport available outside the U.S.? Streaming video from DPTV – including video that is available to DPTV donors – is only available within the United States. For help getting started with DPTV Passport, click HERE.